"I never thought I’d say this, but I have a styling hack for when you feel like skipping the shirt: sometimes you can get away with a long-sleeve merino wool knitted polo. It has the comfort of a perfect-temperature piece (never too cool or too warm) combined with a collar. This piece is awash with details that make it unquestionably smart." 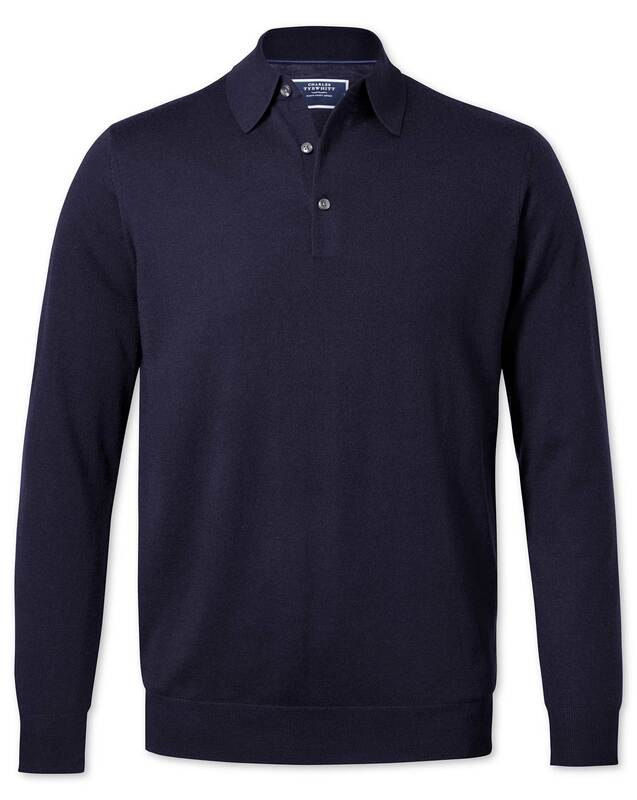 "100% merino wool knitted long sleeve polo; ideal to build smart business casual looks." Merino is one of the world’s most important sheep breeds, well known for its high-quality wool. We use the finest Merino wool in our tailoring and knitwear: it’s temperature-regulating, hardwearing and comfortable to wear.